Inger Forland is the Executive Director of Insight Meditation Society. Prior to IMS, she served at Kripalu Center for Yoga and Health as Vice President, Marketing and Communications. 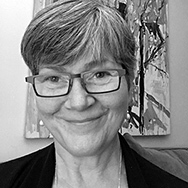 Inger has been a dedicated meditator and a student of spiritual philosophy and practice for more than three decades, and is deeply committed to the work of diversity and the Dharma.